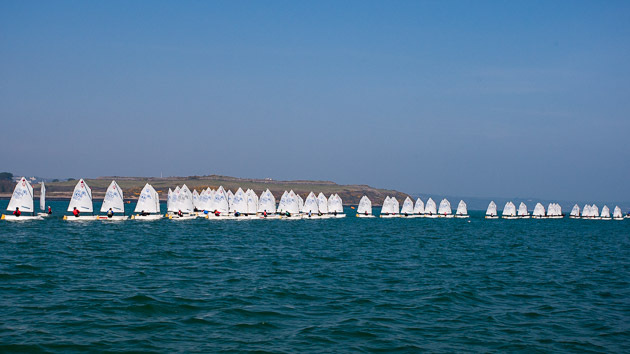 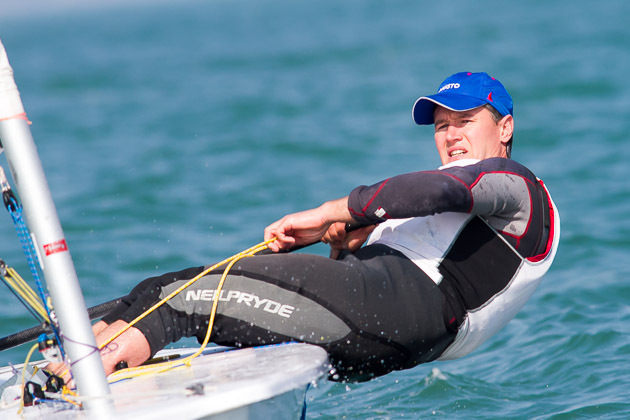 Today saw the first day of racing at the ISA Pathway Trials and Youth Championships at the Royal Cork Yacht Club. 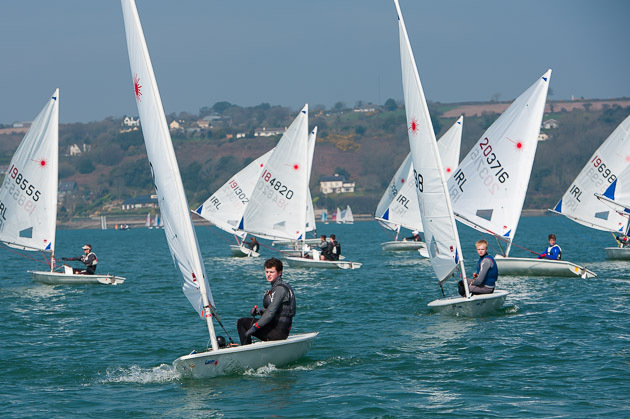 Today’s fleets were Laser Radials and 420s. 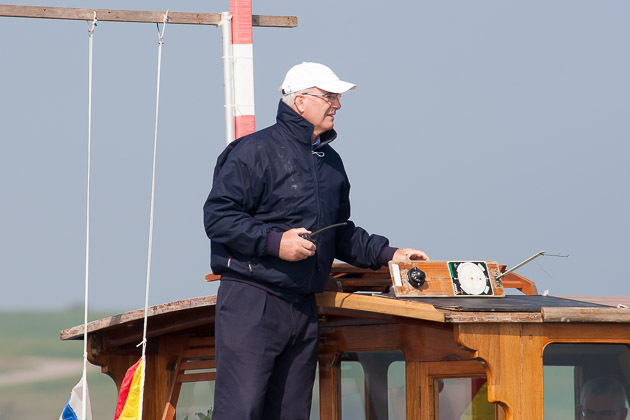 Principal Race Officer was Alan Crosbie . 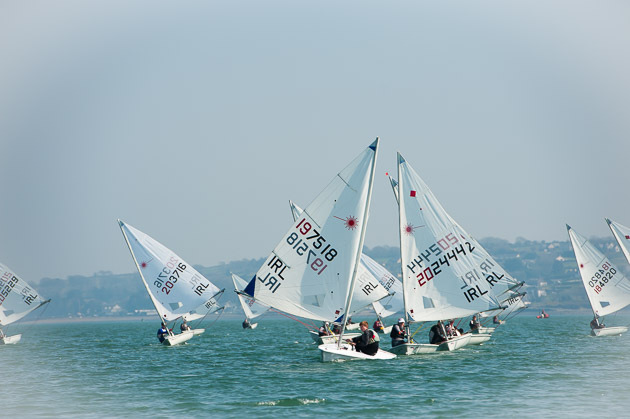 The morning turned out to be foggy but there was a light south easterly breeze and the sun made an appearance making it into a pleasant day but still retaining some heat haze. 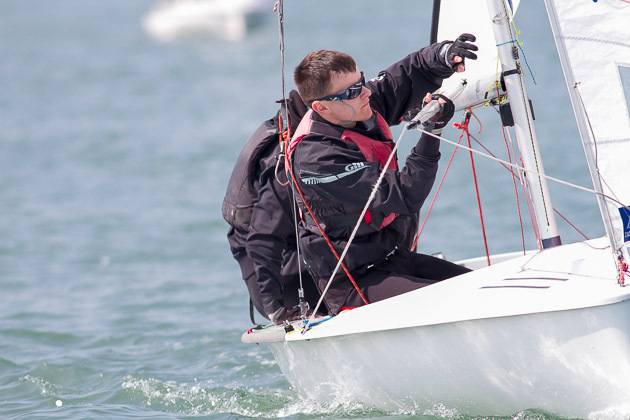 During the day the wind strengthened slightly and went more into the east with Alan Crosbie weaving his magic by sailing the 420s on the outer loop of a triangular course while the Radials sailed on the inner loop. 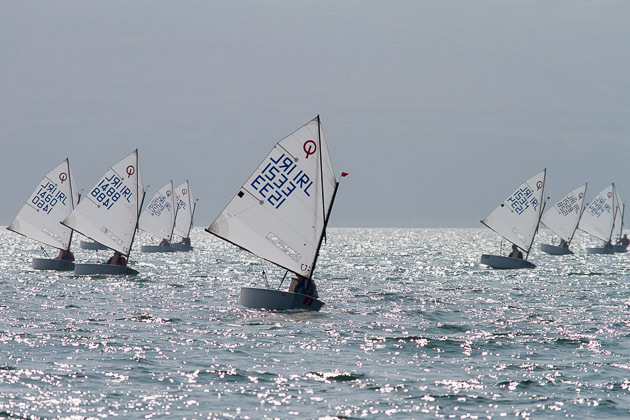 For the next three days the fleets will be joined by the Toppers and the Laser 4.7s. 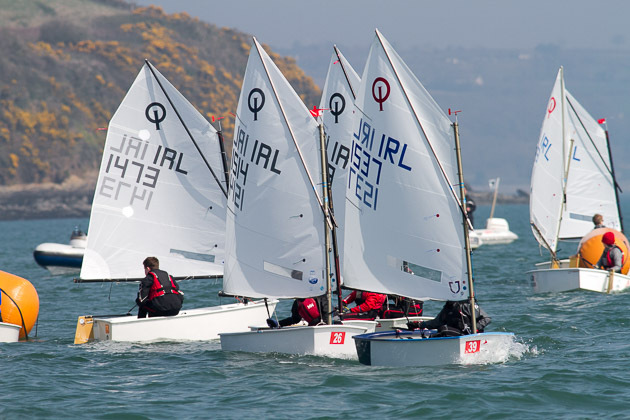 Meanwhile, not a mile away on the Curlane Bank, Race Officer Anthony O’Leary was performing his style of magic in enabling the IODAI Optimist Trials also to get in three races. 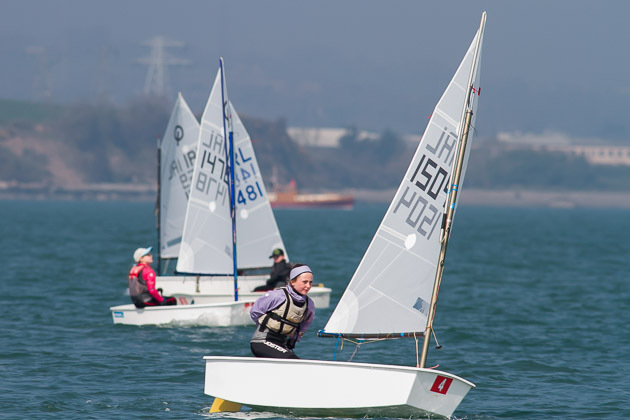 There was no doubt he got the best of the wind from his position as it was somewhat stronger on this course and he got in three fine races for the sixty plus competitors and the races were over forty minutes each for two of them with the third being over fifty minutes. 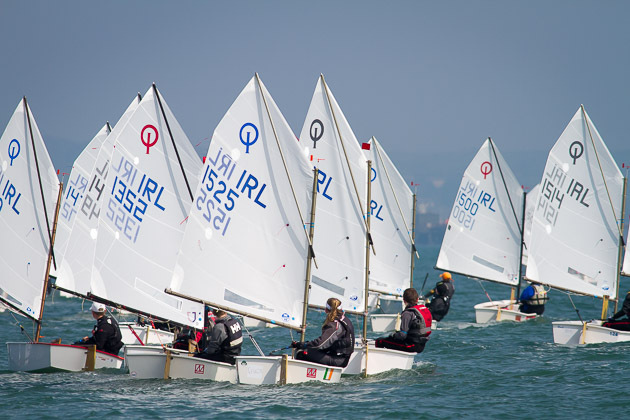 The IODAI Optimist Trials will run over 4 days from today (Thurs) to Sunday. 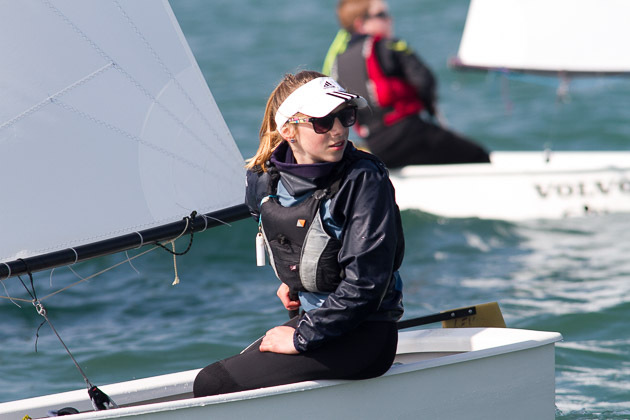 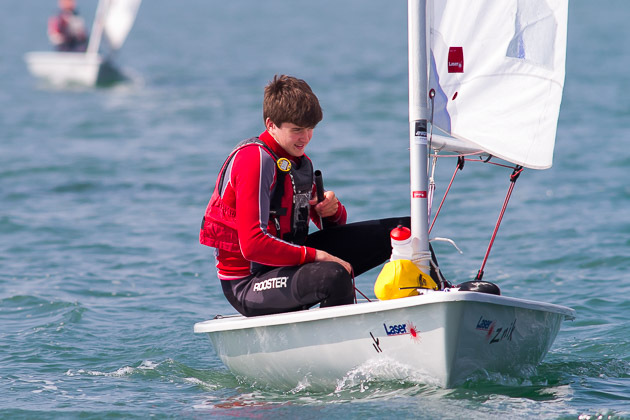 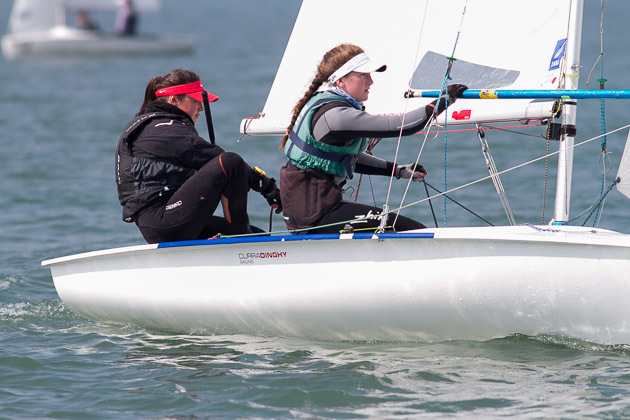 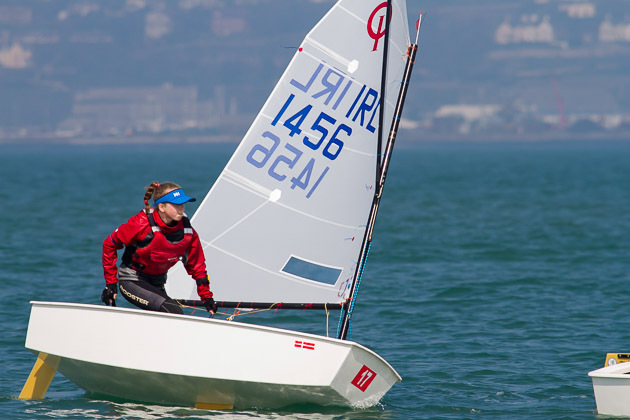 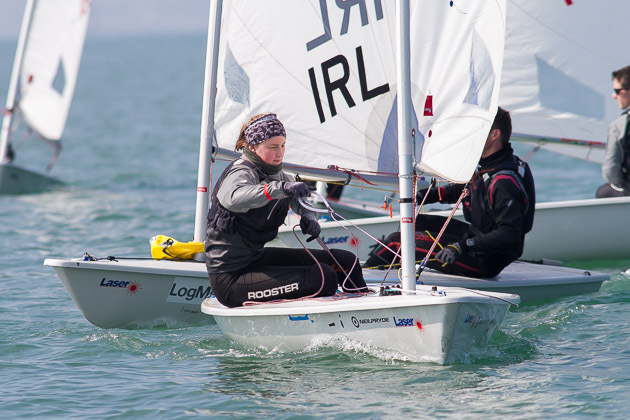 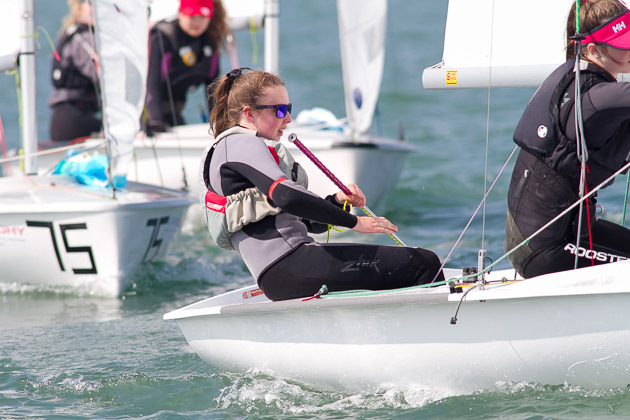 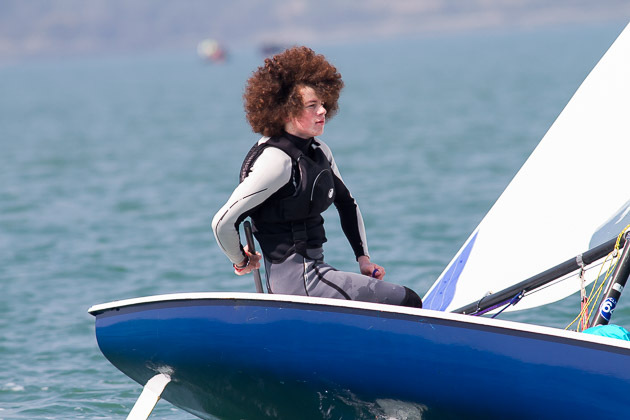 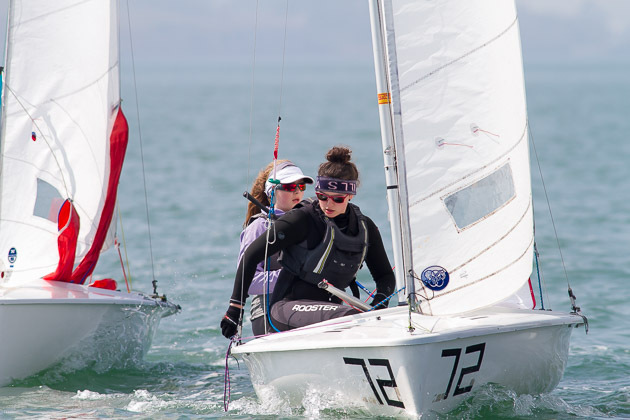 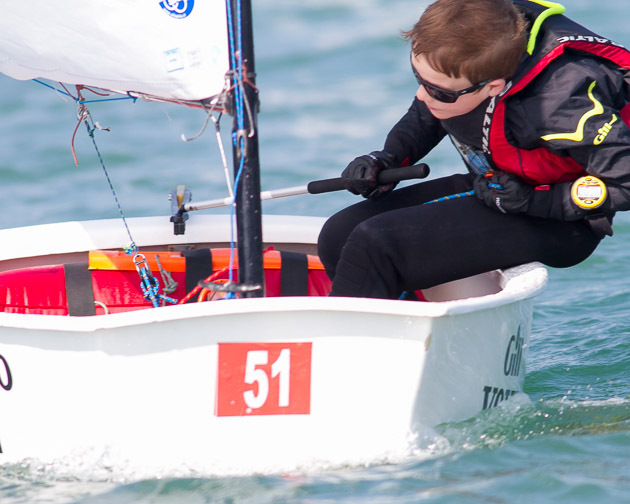 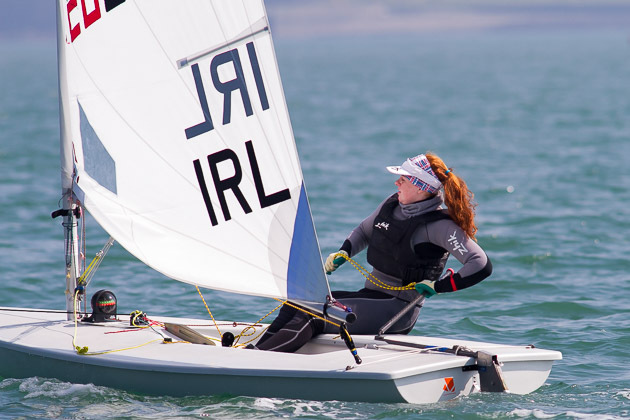 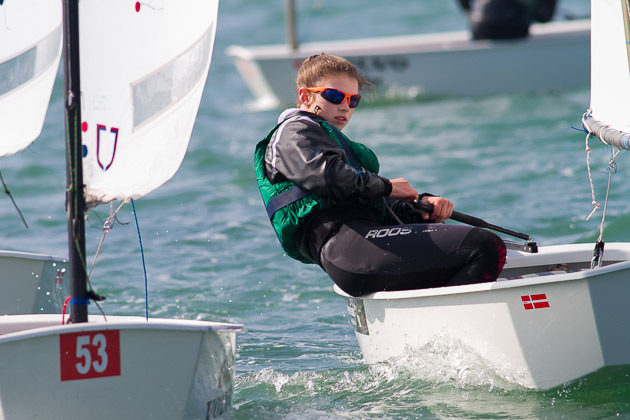 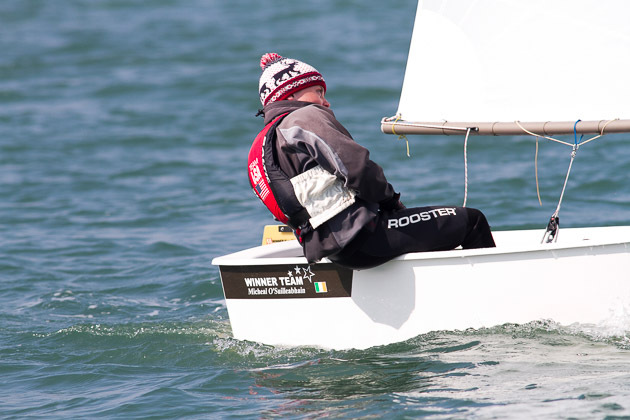 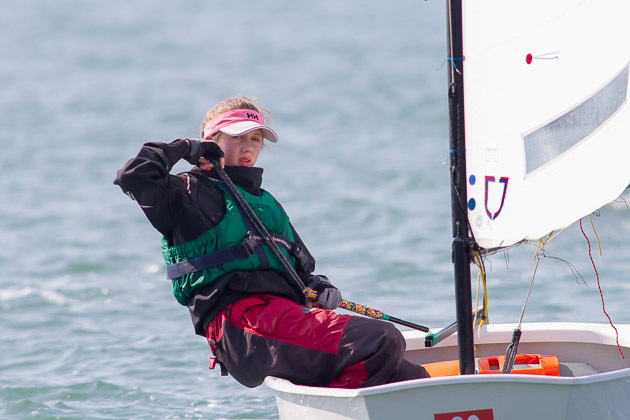 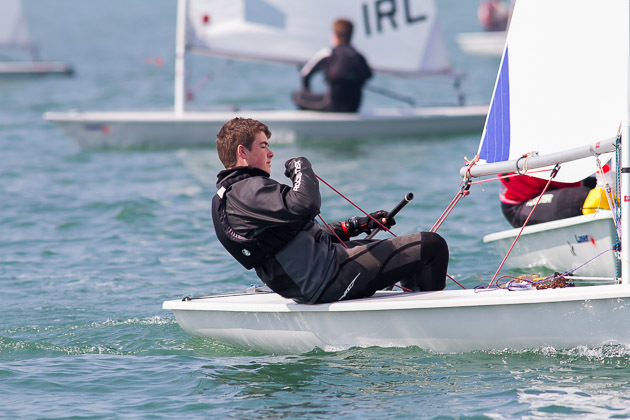 This is a qualifying event for the Optimist sailors to represent Ireland in 2015 – the top five at Optimist Worlds in Wales, next seven at Optimist Europeans in Poland and a number of sailors chosen for a development team that will sail at the French Nationals. 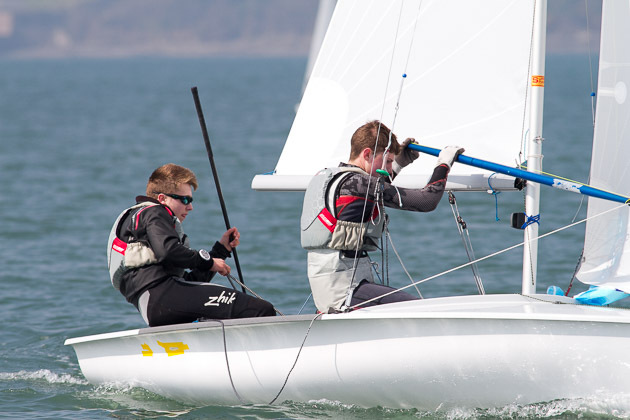 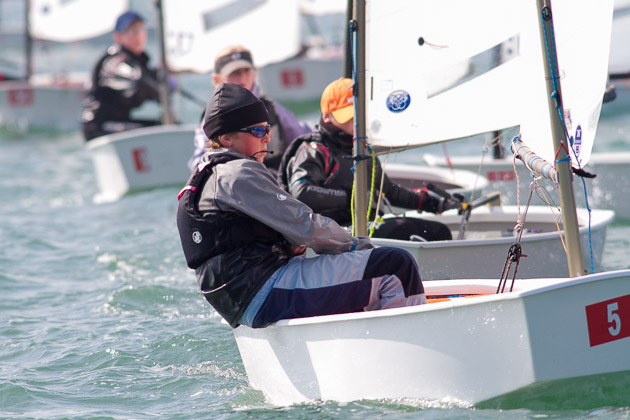 The 420s and Laser Radials are competing in the ISA Youth Pathway Nationals from today (Thursday). 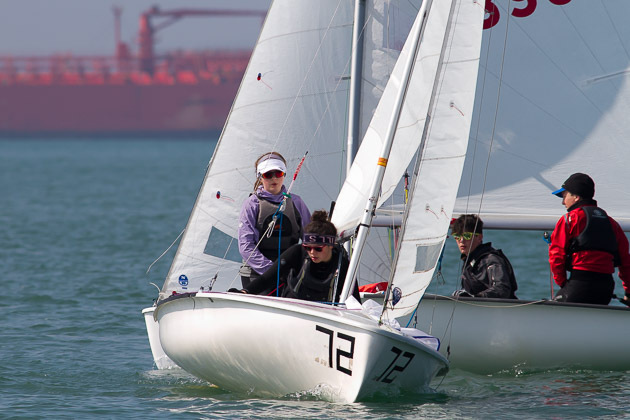 while the Toppers and Laser 4.7s are competing Friday to Sunday only. 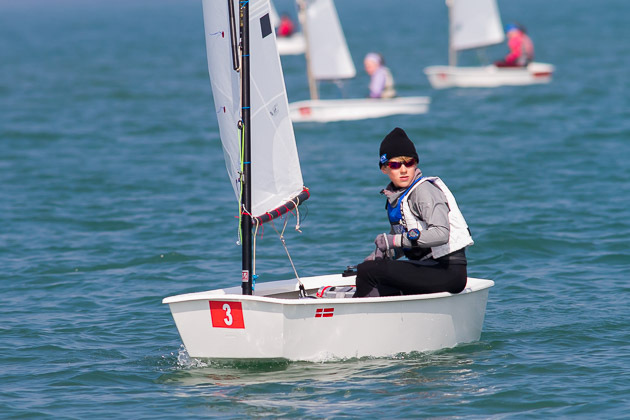 Normally this is a qualifying event for the Youth Worlds, which are usually in the summer, but the 2015 Youth Worlds are in Malaysia in December which is a little too far away. 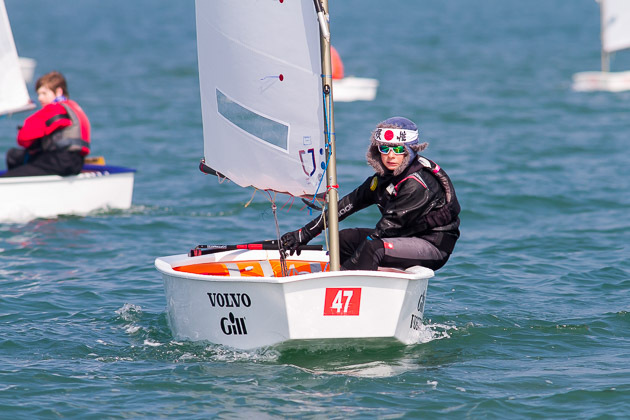 Still an important event for all the classes as the Lasers compete for the honour of ISA Youth Pathway Nationals Champion, the 420 sailors are qualifying for the Junior Europeans and Worlds, while the Toppers are qualifying for the ISA Summer squads which will build up their skills for the Topper Worlds in Lake Guarda. 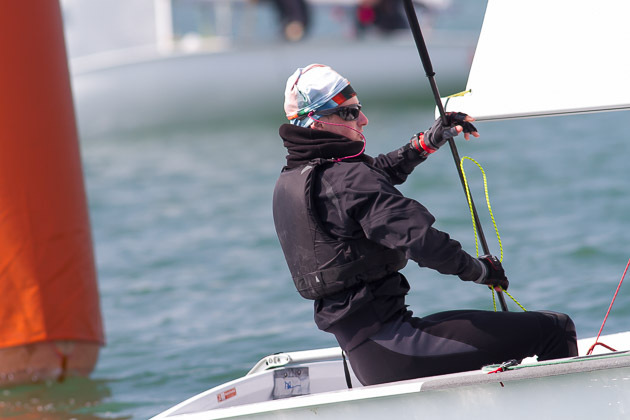 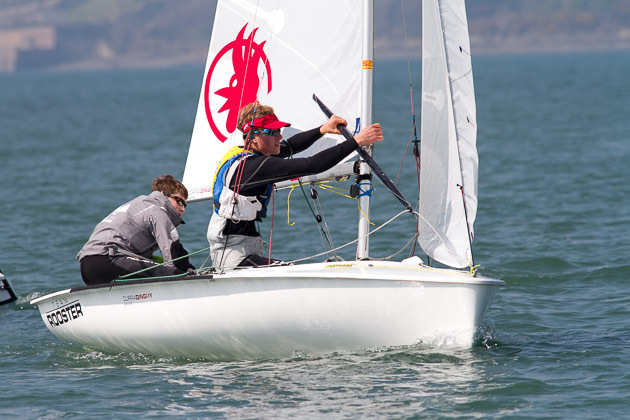 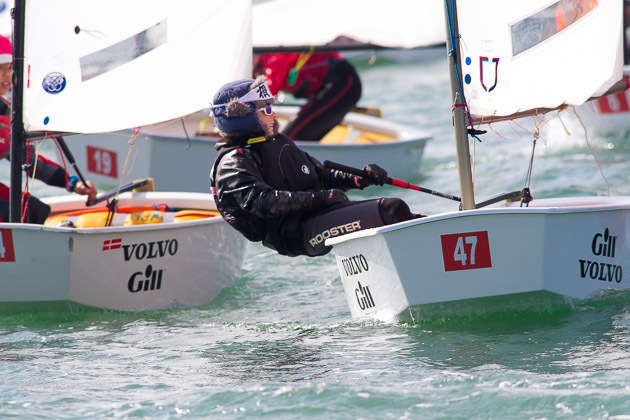 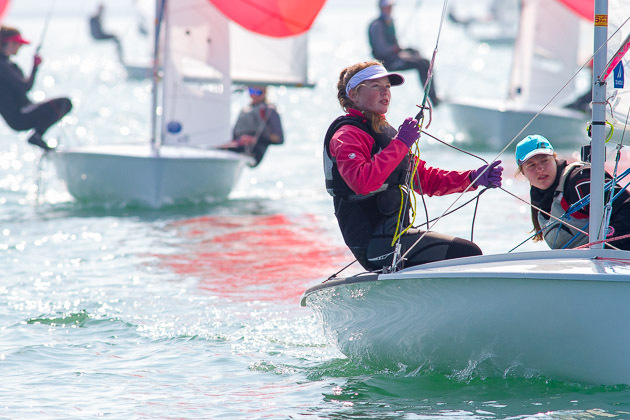 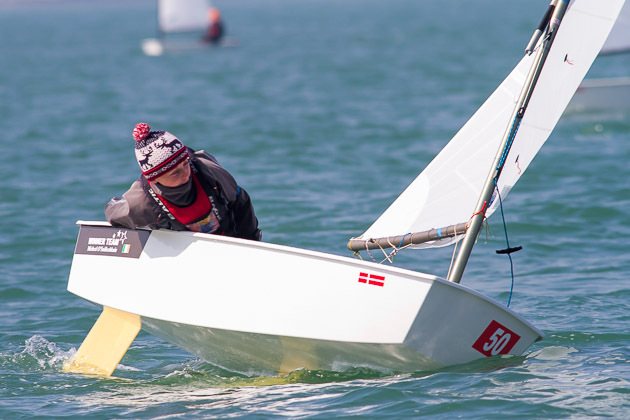 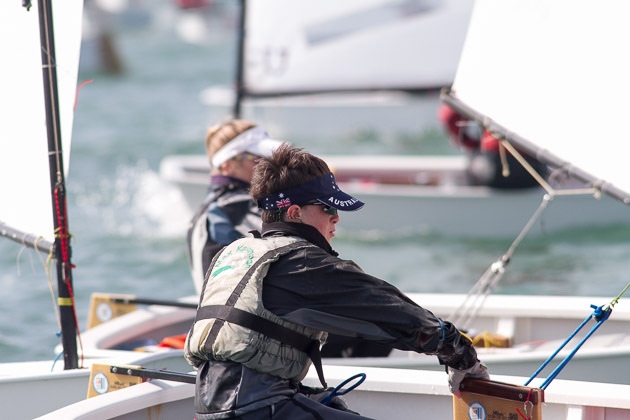 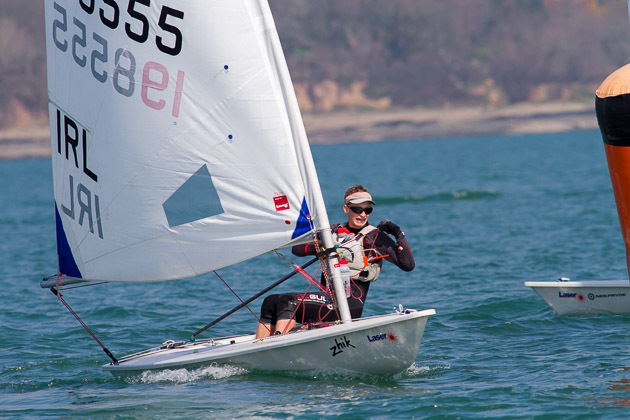 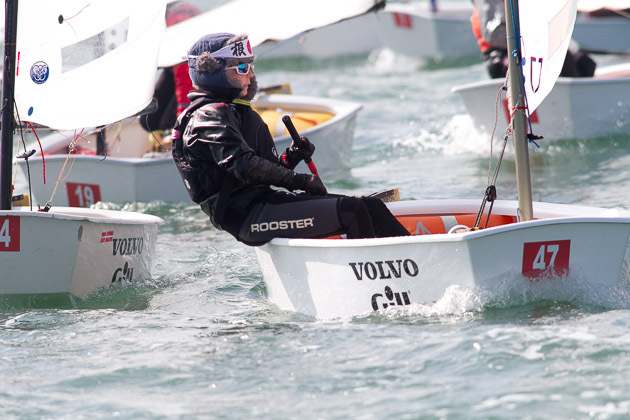 This is an open event for ALL Topper, 420, Laser 4.7 and Laser Radial sailors, which means the young sailors did not have to qualify to enter and it gives ALL sailors a chance to compete against each other on an even playing field. 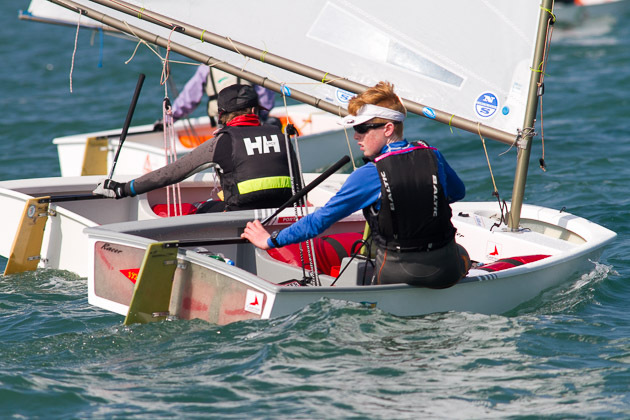 to Sunday, while the Toppers and Laser 4.7s will compete from Friday to Sunday.Normally this is a qualifying event for the Youth Worlds, which are usually in the summer, but the 2015 Youth Worlds will be in Malaysia in December which is a little too far away. 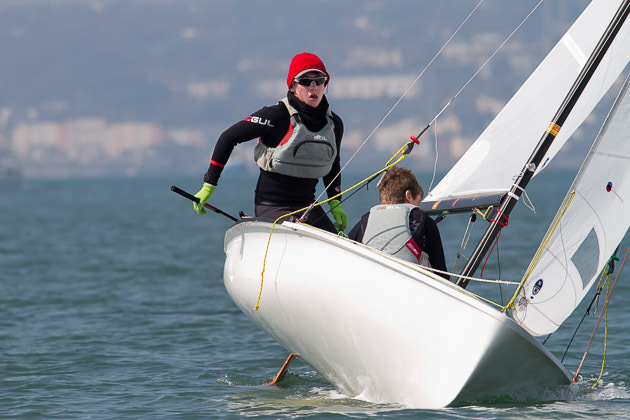 Still an important event for all the classes as the Lasers compete for the honour of ISA Youth Pathway Nationals Champion, the 420 sailors are qualifying for the Junior Europeans and Worlds, while the Toppers are qualifying for the ISA Summer squads which will build up their skills for the Topper Worlds in Lake Garda. 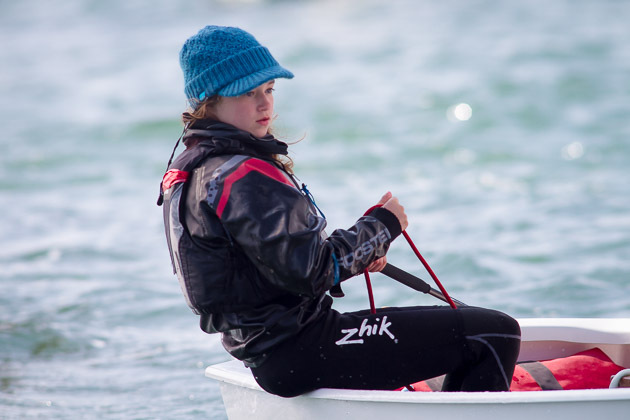 All in all an excellent, if somewhat long day for the youth competitors but obviously scintillating and provided for plenty of chatter and camaraderie when coming ashore and bringing their boats back to the allotted compounds for each fleet. 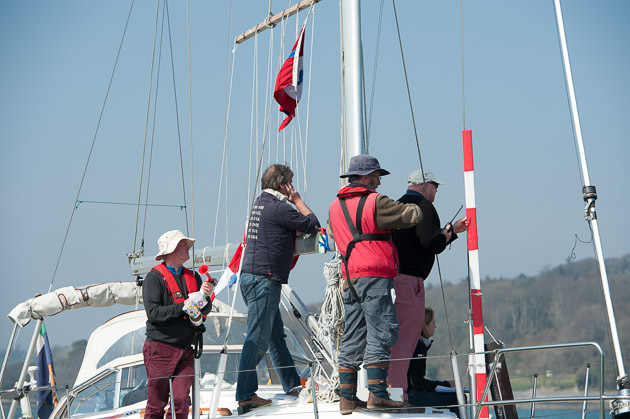 In fact the chatter could possibly be compared to the Tower of Babel and the enthusiasm for discussing the day’s sailing was very evident.